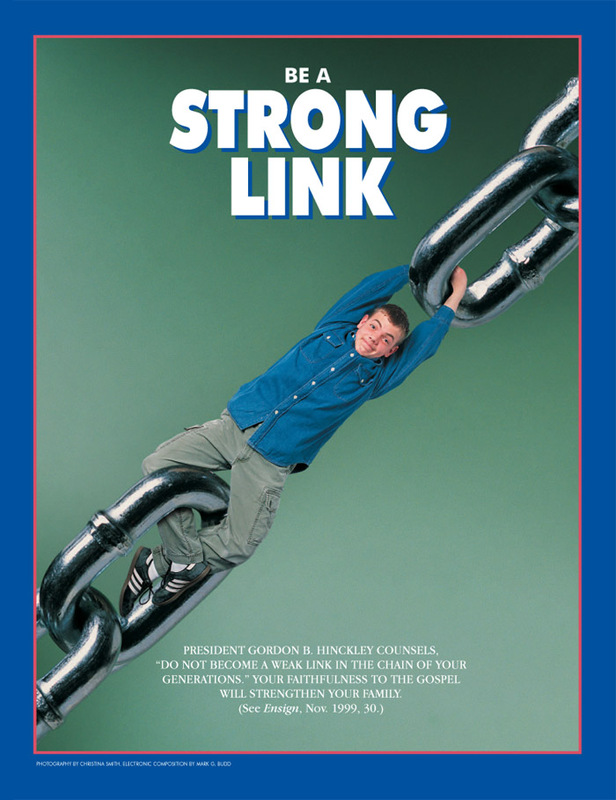 The June 2013 issue of New Era magazine (for Mormon youth) includes an article by LDS Seventy Steven E. Snow, “Balancing Church History.” The focus of the article is on warning Mormon young people about faith-challenging historical information they may encounter on the Internet, and encouraging them to be prepared for these encounters. I agree with Mr. Snow that balanced research is the best way to approach any issue; when it comes to Mormon Church history, the Church itself has a very long way to go in the area of providing “the whole picture” to interested parties. Consider, for example, the exclusion of Brigham’s plural wives from Teachings of the Presidents of the Church: Brigham Young and the continual Mormon misuse of Josiah Quincy’s remark about Joseph Smith (see Joseph Smith’s Powerful Influence). The Mormon Church itself perpetuates untruthful and out-of-context presentations of its history; people, therefore, “don’t really see the whole picture.” But Mr. Snow does not have the Mormon Church in mind when he warns the youth about historical sources. “You are a part of the great processes of God under which men and women have gone before you. All that you have of body and mind will be transmitted through you to the generations yet to come, and it is so important, so everlastingly important, my brothers and sisters, that you do not become a weak link in that chain of your generations” (see here, here, and here for examples of this teaching). I dare say the same could at one time have been said about The People’s Temple, the Branch Davidians and Heaven’s Gate (to name but a few). The members of these groups also left their homes to gather together. Many of them made the ultimate sacrifice – 1046 of them gave their very lives to remain true to what they believed. In the grand historical schemes of these movements, the deaths of these people could be called “little flicks of history” — just a few confusing threads in an otherwise well-designed quilt. How wrong – and tragic – such thinking would be. As Sandra Tanner has said, “The sacrifice of the pioneers is only faith promoting if Mormonism is true.” I encourage Mormons of all ages to be courageous in finding the whole truth about Mormonism — because ultimately sacrificing eternal life for a lie is not inspiring – it is the greatest of all tragedies. This entry was posted in Mormon Culture, Mormon History, Truth, Honesty, Prayer, and Inquiry and tagged Gordon B. Hinckley, History of the Church, Honesty, Mormon History, Sandra Tanner, Steven E. Snow. Bookmark the permalink. So FoF, are you a Heartland model or Mesoamerican model kinda guy? Or maybe Baja California? That LDS scholarship is certainly light years ahead of all the critics, correct? Thank you for mentioning Zelph. There is a Book of Zelph that most Mormons aren’t familiar with. It is scripture and another testimony to the BoM. There was a website for this inspired scripture but I can’t find it. I’m thinking that Moroni took it back. Anyway here’s a link to a good explanation of this wonderfully inspired testament to the BoM. It’s really faith enhancing for Mormons. No offense, but you have consistently abused texts and quotations in the last few weeks I have been posting here. And I showed that very clearly with the quotations from Quincy and the Deseret News. I have no reason to believe you have anything significant or deep in the way of understanding of LDS doctrine and history. Cutting and pasting is not hard to do. Understanding what you cut and paste is an entirely different thing, and something you really struggle with. I venture to say that you are very unlikely to be familiar with the best LDS scholarship on the Book of Mormon or Book of Abraham, etc. My intent on this thread has been to point out the bias that exists among and within the critics. And it is very apparent in the manner in which they handle and interpret texts, in this case from Elder Snow. Cutting and pasting church history is simply not needed to point this out. Posting long excerpts from journals and books rarely constitutes valid or strong arguments. If anything, doing so usually complicates the question at hand and distracts from a given issue. You again misuse a quotation from Owens. The statement you provided simply argues that the paper from him and Moss should not be used to discredit the Tanners “in all areas.” That is a very different thing from endorsing the Tanners as you suggest. They offered the Tanners as a more reliable source of information in the previous quotation. But the statement Owens you just posted is not what you claim. Again, no offense, but almost all quotations you post you also misuse. Embarrassing history is not the same as seeking to embarrass. A presentation of our history that “seeks to embarrass the Church is generally very subjective and unfair” is a comment about the motive of those making the presentation, not a denial of the history. He is not classifying all histories that are critical as having that motive of embarrassing the church. He is saying that of the histories of the church available, those that are motivated to embarrass the church are “generally subjective and unfair.” That is a pretty reasonable statement. Do you disagree. He is very clearly not saying that anything that is critical of our history is subjective and unfair. Those that seek to embarrass the church are generally very subjective and unfair. That is a big difference. I think your reassessment of number 2 is fair. When confronted with something shocking, approach it with balance and perspective and seek to see it in context. I really couldn’t argue with that. If anything, he is saying that we should seek to understand those things better. He says nothing about ignoring them. But even if we do not arrive at clear and perfect answers and explanations for some things, we know that at some point, everything will make sense and be explained. And that should be OK for a person who claims to be a person of faith. I would be shocked if any Christian disagreed with that. I disagree with the comment on item 4 as well. Snow is saying that seeking to understand a particular issue through history, etc. is perfectly fine, but if it is shaking a person’s faith or world-view, he or she should consider how well he or she is nurturing the faith and light within through scripture study and prayer. I too could not agree more. He does not say to accept something without question and move on. He says we should evaluate the balance in our approach. “Put on the whole armour of God, that ye may be able to stand against the wiles of the devil. For we wrestle not against flesh and blood, but against principalities, against powers, against the rulers of the darkness of this world, against spiritual wickedness in high places. Wherefore take unto you the whole armour of God, that ye may be able to withstand in the evil day, and having done all, to stand. I really cannot understand how a “believer” can find fault with Elder Snows suggestions and perspective. He is encouraging members to approach history by studying respected, objective historians (LDS or non-LDS), put it in context, and follow the admonitions in Ephesians about the whole armour of God. Jaxi- sorry for misquoting you. You are right that I misunderstood and misquoted. But my follow up question would predictably be- how long had it been since you stopped reading? You don’t have to answer that. But my point is that we really cannot take anything for granted. The New Testament implores us to pray always and to stay on guard. I completely agree. And if it is 3 months or 6 months since reading, that can be enough for us to lose the Spirit and lose our “bearings.” Are you comfortable not reading the Bible for a few months? I was fully active in all areas of Church life up to the point of me deciding it wasn’t true and stopping all activity immediately. When I say fully active, watching all of conference, reading my Ensign subscription, attending all meetings, trying to bring people into Mormonism, fulfilling my calling in the Primary Presidency, paying tithing, reading LDS scriptures, praying, and fasting. I didn’t leave when I first started to doubt the truth claims of the LDS Church. I didn’t dwindle in inactivity. I actually had the opposite response to my doubt and decided to immerse myself even more in the LDS faith. I was trying to prove to myself the LDS Church was true. I decided through tremendous study and prayer that lasted over a year that it was false. Once I came to that conclusion I immediately stopped paying tithing to the LDS Church (I now give offering to my local Orthodox Church), resigned from my calling, stopped all LDS Church attendance (I regularly attend my EO parish now), and I stopped reading the LDS scriptures (now reading the Bible). I continued to pray and fast through the entire thing and still do to this day. I can confidently say that I never had any time pass where I felt that I “lost the Spirit” or my “bearings.” I can confidently say that the Spirit directed every action that I took. When I left it was a total shock to all family and all members of my ward. No one expected it because of how seriously and how involved I was in all aspects of the LDS faith. FoF, it occurred to me that an important question exists that is relevant to the discussion of people leaving the LDS church. That question is, “Does God allow believers to leave his church?”. I don’t think he does. Now, the discussion of this very premise is loaded, but I do think it is interesting that LDS allow for the possibility of people leaving the church when they stop reading the BoM. I can imagine a number of responses, but the idea that it is God who makes us stand firm in Christ, and Christ will never lose a person who comes to him, how does that affect someone leaving and rejecting your church? LOL! There is no “best scholarship” on the Book of Abraham. And I already know you won’t believe the truth. But that won’t stop me from refuting your opinions about Mormonism. I’ll let the viewing audience decide. And right now, I’m writing a presentation paper with an active Mormon that worked on the Joseph Smith papers. You don’t know me at all. But I know all about you. Your refusal to accept even the basic historical facts about Jo’s method of translation proves this. “Cutting and pasting” blah, blah, blah. Yeah, it’s called QUOTING genius. Try it sometime. You are just too lazy to read the quotes. And that is what you are afraid of, running scared because you are scared of the quotes. That is why you denigrate those who do so. You see, those long quotes PROVE what I say. You can’t handle the truth, that is why you are so afraid of me posting it. No, YOU did. He said you did. So I have it from him. He says, (and I quote) “ As it is, there are very few Christian authors I would RECOMMEND, APART FROM the Tanners, the late Wesley Walters, and Beckwith and Parrish. He is recommending those named authors, genius. The bubble doth distort thy vision and comprehension. Our intended audience for that paper was never lay Mormon apologists or lay Christians. Consonant with our purpose we presented it at a regional ETS meeting and are publishing it in Trinity Journal, an academic publication. They [the Mormons] can’t be using our paper to discredit too many authors. In it we have one footnote that mentions the Tanners and it is not critical of them. We have one paragraph critical of James White’s CRI article and one footnote that is complimentary of another paper he wrote. We have two paragraphs critical of John Ankerberg and John Weldon’s book. We have a footnote complimentary to Beckwith and Parrish’s book and one commending an article by Wesley Walters. That is the sum total of all the comments we made about specific Christian writers in our paper. The rest of the paper describes the work of over thirty different LDS scholars. Your argument is a straw man. STOP QUOTING THEM OUT OF CONTEXT. It’s obvious that nothing anyone can say (or quote) will ever make a difference to you because you live in a bubble of denial. I know you are happy there, and hey, good for you. No offense, but ALL quotations you post you misuse. No offense is taken because you don’t know any better than to say so, because you don’t understand what you are talking about. And I still have no answer LURKERS, about why the Fundamental Mormons read the Book of Mormon daily (as do their children) and they DO NOT believe in the Salt Lake Branch of the Church. If reading the Book of Mormon leads to the truth, then you must consider the Fundamentalist Mormons as the true church also, something the SLC Mormons have denied. See, reading the Book of Mormon does nothing to help one find the truth. Remember, Parley P. Pratt proved by his 1838 prophecy, without a doubt that the Book of Mormon was FALSE. He did it using his “priesthood” power. So much for the Book of Mormon. Isn’t God amazing? I have never felt the Spirit more in my life than I do now. When I figured out Mormonism was false I went out and bought a Bible not affiliated with the LDS church and I prayed and asked God to reveal himself to me. He did. I can also confidently say that the Spirit has directed me as well. It’s hard for Mormons to understand this. The Spirit can’t possibly reside outside of Mormons and their church. LOL! I have never heard of Zelph, I guess I learn something new everyday. You said, “you are very unlikely to be familiar with the best LDS scholarship on the Book of Mormon” and you said earlier, “The scholarship available from LDS researchers is light-years ahead of that from the critics.” So I will ask this again, are you a Heartland model or Mesoamerican model kinda guy? Or maybe Baja California? That LDS scholarship is certainly light years ahead of all the critics, correct? Kind of. Not so much anger as distrust. I started reading the New Testament and the Early Church Fathers. During this time I was also looking at atheism as well. C.S. Lewis also helped a lot. I wanted to test Christianity as I had tested Mormonism. I decided I would always be Christian. I decided to learn my Church history. The EO were claiming that their worship hasn’t changed much since 700 B.C. and even much of that came from what the early Christians were doing. I was curious and wanted to “check it out.” I also read the book, “Introducing the Orthodox Church: Its Faith and Life” and felt like I agreed with its interpretation of doctrine the most. I have to admit that at the time I was pretty skeptical of both Protestantism and Roman Catholicism (mainly from my Mormon Indoctrination). Orthodoxy seemed like a safe place. I’ve since talked quite a bit with my Baptist, Presbyterian, Lutheran, and Roman Catholic friend’s. I have an appreciation for all their denominations. I learned that while there are some disagreements in practice of the traditional Christian faith, the heart of it is the same. Orthodoxy has just always felt like home to me. But you still have not answered a very specific question- how long had it been between the time you left the church and the time you had read the Book of Mormon on a daily basis? I don’t mean to nag. But the absence of a clear answer to that very specific question allows the question to linger. And I am one who believes it is next to impossible to fall away when a person is immersing themselves in the Book of Mormon. 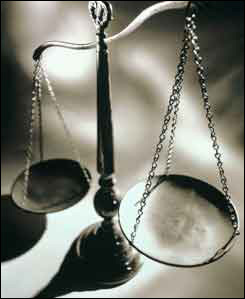 Mistaken Testimony- I am quite sure I already answered your question, but will do so again. The Book of Mormon is by far most consistent with a Mesoamerican setting. I fully believe in took place in Mesoamerica. Grindael- you almost never answer my questions. Including my points about the Deseret News and Quincy quotations. You always twist statements and never interpret text accurately. The answer to your last question is no different than the answer as to why there are so many different churches that claim authority from the Bible yet believe very different doctrines. Your questions tend to blur issues and distract from the topic of a thread, by the way. Jaxi, I think that’s great. I think traditional Christianity is united by some fundamental beliefs, though we may disagree on some issues. There is indeed difference of opinion on some things, such as the mode of baptism or what exactly it is we partake when we partake communion. There are also differences of opinion on some other, less tangible things, such as the doctrine of election. But we are united in who Christ was and is and our role in him. And as long as there is unity in the areas that matter, like defining God, our church will remain strong. I must admit, I have always been curious about the Eastern Orthodox church, but know little about it. Is there a good resource to learn about the church? Are you kidding me? Now, Jaxi can speak for herself but I have read her posts and she has CLEARLY told you again and again that she immersed herself in the BoM UP UNTIL THE DAY SHE DECIDED MORMONISM WAS FALSE. You need to get it out of your head that people who leave just aren’t reading the BoM enough, I know this is difficult because this has been the mantra of the LDS church for decades! Give it a rest, and I BEG you, please, please learn some comprehension! BTW, you still haven’t answered my question about the BoM fixing everything for someone who has just learned all of the problems with it from information on the Internet. What about that? You said, “you are very unlikely to be familiar with the best LDS scholarship on the Book of Mormon” and you said earlier, “The scholarship available from LDS researchers is light-years ahead of that from the critics.” Now you said, “I fully believe in took place in Mesoamerica.” Show me just one artifact or one piece of ancient writing that is either Jaredite or Lehite. When I said “immediately stopped” I believed that showed that is what I was doing just before I decided the Church wasn’t true. If I had stopped reading my LDS Scriptures before I left than I would not have to immediately stop the activity because I wasn’t doing it to begin with. Once I decided it wasn’t true, not when I had my first doubts, but once I decided that I was absolutely sure that the LDS Church was absolutely wrong, and that I had no fear of risking my salvation or the salvation of my children, I stopped ALL LDS Church activity IMMEDIATELY. That included my LDS scripture study. To stop something means you had to be doing it to begin with. Do you need me to print out dates and times? Let’s see… I gave up my faith in the LDS Church on a Wednesday night. So my last day of scripture study must have been…a Tuesday. I actually have no idea what day it was. But I hope you grasp my point. FoF, if I may, why are you so adamant in getting a clear answer. I am confident she did answer clearly. She has said she was reading until she decided to leave. What more do you want? Are you not willing to admit that your confidence that regular reading of the BoM will keep one in the church may be misplaced? Or, are you going to now suggest that she was not sincere in reading it? Either way, your conclusion will be exactly what we have suggested it will be: it is his her fault. Of course, your conclusion misses an obvious alternative: she found a better answer, and at the very least that answer is that Mormonism is problematic. But that simply can’t be, you must think. Well, you know what, being intellectually honest requires that you admit that it is indeed a possibility. Can you admit that it is a possibility? The books I used to learn about Orthodoxy were “Introducing the Orthodox Church: Its Faith and Life,” by Coniaris, “The Faith,” by Clark Carlton, and “The Mystical Theology of the Eastern Church,” by Lossky. That last one is some heavy reading material. I found myself reading the pages two or three times. Another book that is more of a “nuts and bolts” kind of book is “Orthodoxy A to Z,” by Grube. I hope no one feels like I am trying to “advertise” Orthodoxy on this site. I enjoy reading about other denominations and their history as well. Right now I am reading a book on Roman Catholicism. Thanks for the response. I never really thought of Atheism as an option or even looked into it. I have a nephew who has recently left and he is extremely bitter and has turned to Atheism. I can understand how and why this happens to ex LDS. I knew in my heart Jesus was my Savior I just didn’t really know who He was. I had it pounded in my head that the Holy Trinity was false. I’m sure you’ve heard all the same LDS teachings about it. I had a hard time losing the indoctrination I had been raised with. It’s a difficult process as you well know. I wanted the church to be true so badly, once I started to research it all just snowballed. I hate being lied to. It was a difficult road and I am now looking into other Christian denominations. I have attended a non denominational Christian church off and on, but because of my experience in Mormonism I have been really turned off to any particular denomination. I’ve been reading some books on Eastern Orthodoxy and it is pretty fascinating stuff. I’ll have to check out the book you started with. I also downloaded C.S. Lewis Mere Christianity on my Kindle, I just haven’t started that yet. Kate, I hope you enjoy Mere Christianity. It is a brilliant book. I don’t know the last time I spent so much underlining and rereading a book as I did when I read that. That book is a breath of fresh air. He understands so much and explains it in such an easy way. I’d love to chat with you about it once you’ve read it! With TBMs it’s never enough. You have all been patient answering the FOF. It’s not enough. There’s always one more thing, or you didn’t answer or some other bogus charge. I remember way back when, I felt like I needed to put my hands on both sides of the Mormon posters head(s) and say, “FOCUS! !” The topic had to do with the old Mormon canard that Christians believe that once they are saved they can sin all they want. I, along with other Christians, explained over and over and over again the whole grace-faith sanctification paradigm, to no avail. I finally figured out that it was a mixture of not wanting to understand the concept because it would kick one of the legs out from the three legged stool and an inability to process information. So what I do, to save my sanity, is imagine the lurkers out there who need information. I write for them. FOF and the other TBMs need to be treated like foils. They’re useful in that they make fools of themselves and it’s apparent. God has brought you to this place at this time to fulfill His purpose. Please do not get frustrated, throw-up your hands in disgust and stop posting. That’s really what FOF is looking for. I feel bad that Old Man has left us. I don’t know his reason, but I valued his contribution as I do that of all of you. This is a mission field. God is sovereign. His will, will be done! I am so happy to have found this site. I left the mormon church just over a year ago. I was a very active member all my life. I live in a small mormon community and leaving was the hardest thing I have ever done, but I just couldn’t live the lie any longer. I have been lurking on this blog for a while and felt it was time to say thank you for what is shared here. I thank God every day that he gave me eyes to see and ears to hear His truth of the true gospel taught in the bible. My trust is completely in Christ and His finished work on the cross – nothing more can be added – finished means finished. It makes me sad to think how many years were wasted in trying to perfect myself – when there was the most beautiful gift of grace being held out to me in the arms of Christ on the cross just waiting for me to accept it. I have now accepted His gift completely. It is amazing the difference He has made in my life. Finally I truly understand what amazing grace is! So I thank the Christians here who are willing to share – you have helped me find a way to a whole different thought process than what I had as a mormon. Some great articles and insights. Praise God! Jaxi, I enjoy learning about other denominations myself, hence the question. I appreciate your response. I’ll check the books out. Falcon, I know. I used to post here a few years back, myself. I stopped not out of frustration, but out of a lack of time (was going through law school). But I do remember frustration, and a lot of circles. I think a lot of it has to do with the fact that most Mormons have a lot invested in the church. Its far more than a church life. Its every aspect of their life that is impacted if they leave. I am sure some of the exes around can explain that more fully. A couple weeks ago, FoF stated he returned from a few year absence, too. I remember him, and Shem. It does not seem like much has changed in his approach. Heck, not too much has changed otherwise, but I imagine the site has a number of people who do come in and read. My goal is to hopefully instill some ideas in ways they may not have thought about before. This applies to LDS, but also to traditional Christians, too. We should all seek to grow at all times. I hope I positively affect that goal, but regardless, we should all remember that Christ is our ultimate goal. Knowing what others think and how radically different faiths defend themselves only helps us grow towards Christ. That is why I post here, to help people see the differences in LDS theology, and that of Christianity. Understanding these differences will help Christians avoid pitfalls in the future, and will help LDS understand their faith better, too (and maybe, hopefully, see its problems). Please do not get frustrated, throw-up your hands in disgust and stop posting. Like I said before Falcon, I will only leave if I die or the rapture happens. Bummer for the Mormons. Welcome Mapleleaf, I can only assume based upon what FoF thinks, that you left the church because you stopped reading the BoM. We know the truth though, you had your eyes opened because of Jesus and the truth set you free. Amen. LOL, no they don’t. I have directly answered all of your made up opinions about Mormon doctrine and history. It’s like the Book of Mormon. You keep mentioning it, yet we have seen by historical evidence that Parley P. Pratt proved it false. So why should anyone read it? The Fundamental Mormons do every day, and they say you are part of a false branch of Mormonism. All you can do is repeat variations of the same comment over and over again to me. I’ve shown the evidence and all you add is …. nothing. FoF, I have to really laugh at you, what a joke. Grindael- you almost never answer my questions. Yet the master of dodge and avoid questions is saying others do this, while he himself does this. How can we take you serious? Thank you for posting. It’s a real encouragement. It seems that we are having an out-break of former Mormons showing up here. That’s really cool…..and many are recently out. I’m not going to go down any theological roads here but I want to say that there is something to God’s calling and election. Paul’s letter to the Ephesians, first chapter says it all. I don’t know how it works but God reminded me again yesterday that His calling is sure and He is sovereign in the lives of those born again by His Spirit. I’m reminded of His grace and faithfulness everyday. I know I couldn’t maintain my walk in the Spirit on my own. I don’t understand the spiritual dynamics, but I do know that that the over-all genetic pool is so messed-up that God’s hand is a necessity in drawing us to Him and maintaining our position in Him. Go through the last few threads in which I have participated. Add up the number of critics posting and the number of LDS posting and compare. Next, go through and add up the number of questions I have answered from the critics and the number that I have not answered. Then, add up the number of critics who have not answered my questions vs. the number who have answered my questions. That should give you a basis on which to make a judgement regarding who it is that is not answering questions. So far on this thread, Sharon is the only person who has attempted to respond to my posts directly regarding the topic of this thread. And she has not responded to my follow up points and questions. Inevitably, every thread, no matter the topic, will fall into the same arguments and conversations and topics- every thread will at some point lead to polygamy, Joseph Smith is a liar, God once being a man, mormons believe they save themselves, Zelph, etc. It really doesn’t matter what the topic is supposed to be. The critics seem to always divert attention back to these topics. You watch- whatever the next thread addresses, the posts will soon go back to the same issues. It is somewhat entertaining to observe. I am wondering why the people who run this website don’t just keep one ongoing thread instead of posting new topics. Just look at the OOPs notice from Sharon about the accidental early posting of an article. Boom- same topic, same conversations and bickering resulting from what is nothing more than a technical note from Sharon. It is funny to see. It is a very effective demonstration of what is known as “flight of ideas” in the psychiatry world. You have made some pretty interesting statements. You said, “you are very unlikely to be familiar with the best LDS scholarship on the Book of Mormon” and you said earlier, “The scholarship available from LDS researchers is light-years ahead of that from the critics.” Now you said, “I fully believe in took place in Mesoamerica.” Show me just one artifact or one piece of ancient writing that is either Jaredite or Lehite. How about you be honest and simply say, My request is impossible and you simply cannot do it. Instead you whine and cry about people supposdly not answering you. Can I make them answer you? No I cannot. So dont give me that crap about you wont answer me, because someone else did not answer you. You simply cannot answer the question, and the sad part is, Bruce said the BoM clearly shows greater clarity to the Bible than the Bible shows about it’s self. Yet you know this to be false by your lame excuse. You sure your not really about 12 years old? FoF, really, no one has answered you? Are you sure about that? I scrolled through the thread to find your specific question to which you keep referring. It is actually a very good question, and I am happy to give you an answer. I could write for days and days on the answer, but will try to be succinct and efficient. I will use the Isaiah passages contained in the Book of Mormon my example. There are 478 verses of Isaiah in the text of the Book of Mormon. Of those, 201 are precisely the same as the King James Version verses and 207 are different than the KJV. So first off, it is not a matter of simple copying or cutting and pasting. There are differences. But those differences are not hugely significant and likely are not the reason for the inclusion of those passages in the Book of Mormon. The major reason for including Isaiah in the Book of Mormon, in my opinion, is the explanation of those passages by Book of Mormon prophets. They provide a very significant perspective on the fulfillment of those prophecies from the Lord through Isaiah. The main themes in Isaiah are Covenants, the scattering and gathering of Israel, and the mission of Christ. And the BOM prophets who explain Isaiah do so with a very high degree of understanding and wisdom. And those prophecies are extremely important for the world in our day as the “Day of the Lord” approaches. Yea, the kings of the Gentiles shall be nursing fathers unto them, and their queens shall become nursing mothers; wherefore, the promises of the Lord are great unto the Gentiles, for he hath spoken it, and who can dispute? But behold, this land, said God, shall be a land of thine inheritance, and the Gentiles shall be blessed upon the land. And this land shall be a land of liberty unto the Gentiles, and there shall be no kings upon the land, who shall raise up unto the Gentiles……..For I will fulfil my promises which I have made unto the children of men, that I will do unto them while they are in the flesh— Wherefore, my beloved brethren, thus saith our God: I will afflict thy seed by the hand of the Gentiles; nevertheless, I will soften the hearts of the Gentiles, that they shall be like unto a father to them; wherefore, the Gentiles shall be blessed and numbered among the house of Israel. Wherefore, I will consecrate this land unto thy seed, and them who shall be numbered among thy seed, forever, for the land of their inheritance; for it is a choice land, saith God unto me, above all other lands, wherefore I will have all men that dwell thereon that they shall worship me, saith God. In this and other passages, the BOM prophets explain that “this land,” or the Americas will be a very important land and nation in the last days. The gentiles who live in the Americas will be “blessed” above other nations and will be nursing fathers and nursing mothers to the descendants of Israel who are scattered throughout the world. And it would be the center of the Lord’s great work in the last days in preparation for the second coming of the Messiah. So to answer your question- the Book of Mormon has very specific and powerful explanations of Isaiah’s words in the setting of the modern world. years, one can see very clearly this explanation has been validated. (think about the religious, economic, military, political impact on the world- no other nation in the history of the world has had this scale of influence). And this is just one passage of Isaiah explained in the Book of Mormon. The book sets the stage for all of these prophesies and predictions. And it bares powerful testimony of the truthfulness of these passages and strengthens one’s testimony of the Bible and Christ. If you remove the Biblical passages, there is tremendously powerful passages throughout the book that testify of the atonement of Christ. The book explains the atonement more clearly than any other book. It describes the spirit world, priesthood, the role of prophets, God’s work in the last days, the first principles of the gospel- faith, repentance, etc. Like I said, I could go on and on, but this is already probably too long. ps. Yay mapleleaf!! That’s amazing!! I hope you’ve been able to find a good church in your little community. I can only imagine how tough that walk has been for you. But PTL you’re free in Christ!! MaM – I have been attending a church in a nearby city, not sure yet if that is where I will stay. That is what is hard right now there really isn’t much choice in my community other than Mormonism. In a town of 3500 there are 9 wards. Ok, let’s test this. Let’s go to the Oops Notice. What do we find? FOF’s first comment is about what? Reading the Book of Mormon. Of course since the thread had no topic, one developed from an innocuous comment about Moroni’s horn. But then, we had some posters who hadn’t been here in a while, or were new. One was Lillypad. She did a good job about the snafu with the name Nephi. There is a bit more to it than what she delivered, but what she did was call Rick “dishonest”. But was he? You have to admit Rick has a point. Jo was the editor of the Times and Seasons when he published his history and the name of the “angel” was Nephi in that issue. Apart from a couple of instances between 1832 (where he calls him “Maroni”) and 1838, when Joseph Smith and Oliver Cowdery both quote Moroni as the angel, Smith called the “angel” Nephi in his later writings and publications, none of which were changed or retracted during his lifetime. Only later was the name changed back to Moroni in the accounts, without reference, by other people. Even his mother called the “angel” by the name of Nephi in her biography. Most importantly, the original handwritten manuscript of The Pearl of Great Price, dictated by Jo himself, shows that the name of the “angel” was Nephi. Only after Smith’s death did someone add the name Moroni above the line of the handwritten text. Why did Jo dictate that it should be Nephi? No one knows. But this is more than a typo in a Church Newspaper. Much more. Even FAIR acknowledges that this is the sequence of events, though they blame it on Jo’s “clerks”. But they still can’t get around the fact that Jo was editor of the Times and Seasons in 1842 when the name appeared, and for two years NEVER CHANGED IT, nor retracted it. So was Rick being dishonest or was he lying? Hardly. From there, the discussion went back and forth about feelings and more on the Nephi contradiction. Instead of adding ANYTHING to that FOF just gushes about the Book of Mormon and his old, tired, argument about reading it. So who is a broken record here? The FACTS speak for themselves. The whole European World have appeared inspired to spend millions & labor with all their might to build Navies & Equipt armies & prepare For a mighty struggle & deadly Conflict with Each others. All Italy has risen up in the magesty of her streng[th]s under her great leader Garabaldi and flung off the galling Napolitan yoke and formed an Elective Monarchy Receiving Victor Emanuel as their king. England & France has made both war & peace with the Chineese Empire while they have both been preparing there armies & Navies for a Bloody struggle at home. But the United States of America is the spot whare 1860 markes the Commencement of a new Erea in [p.528] the History of that Government & people. It is [in] the midst of this Government whare the God of Heaven has set up his kingdom in the Latter Days. He sent An angel to this people thirty years ago raised up a prophet Called & ordained him to preach the gospel of Christ & Esstablish his Church & kingdom in the midst of the people. Joseph the prophet of God was Faithful to his Calling, esstablished the Church of Christ, was filled with revelation & prophesy declaired the word of God unto the people told them what would Come to pass in there midst the wars and Judgments of God that awaited them because of there wickedness and as Jesus told the Jews the Fate & Calamities that awaited the Jewish Nation So Joseph Smith the Prophet of God told the people of the United States Government what awaited them & there final Destiny as a Nation because of there wickedness & abominations & because they would shed the Blood of Prophets & Saints. He said in 1832, 28 years ago that South Carolinia would rise up in rebelion and that war would Commence at that place & that the Southern States would arise up in rebelion against the Northern States & the Northern States against the Southern States & that war would be poured out upon all Nations which would End in the death & misery of many Souls & because of these things or as the prophet has said the people of the United States have put to death the prophet Joseph the Patriarchs Apostle & many Saints and driven the Church of Christ from place to place for about thirty years and Finally have driven them into the wilderness even into these vallies of the Mountain and the Lord told us “to plead at the feet of the Judges Governors & Presidets of the United States & if they Heed us not and do not redress us of our wrongs (then the Lord says) I will arise out of my hiding place & in my fury I will vex the Nation and I will Cut off those wicked & unjust Stewards and appoint them there portions with Hipocritts & unbelievers. 1860 has laid the foundation for the fulfillment of these things. During this year the Abolitionest of Republicans of the Northern States Elected their [p.529] President and Vice President and this has been taken as a pretext and the Southern States are rising up in rebelion against the Northern States are holding Conventions & preparing to Cecede from the Union as Joseph Smith said they would. South Carolinia Ceceded from the Union on the 20 Dec 1860 and others are preparing to follow their example. This has caused a great Convultion throughout the United States. All Banking & monied institutions are suspending specie payment and the wheels of Government are begining to be Cloged. Alarm & Confusion is spreading throughout the whole land. The Lord is withdrawing his spirit from the Nation and they are begining to be filled with madness towards Each other and the Southern States are arming & preparing for A Deadly Conflict against the Northern States. And whom the Lord wants to destroy he first makes mad and the people are being inspired with madness to such a degree that they are ready to devour each other. This is the last day of 1861 which has past and gone and borne its report to heaven of the deeds of all Nations and men. This year has brought to pass much of the fulfillment of the predictions of the Ancient and Modern Prophets of God. See this Journal Jan 1st 1861. I there declaired as a Prophetic Historian that this year would be the most distressing year America Ever saw since they were an independant Nation. Time has proven it so. Five States viz Missisippi, Georgia, Alabama, Louisiana & Florida Seceded from the Union in January the first month of the year. Texas Seceded in Febuary. Then followed North Carolina, Tennessee, Arkansas, Virginia, and A part of Missouri have all seceded during 1861. This has brought on a terrible war upon the Nation. Both North & South have rushed to armes untill the North alone has over six hundred thousand men under arm and the South near the same number of men. This war has cost the Northern States some Five Hundred Millions of Dollars during the past year and many thousands of lives and this is ownly the Begining of trouble. The Close of 1862 will leave America with a debt upon her shoulders of One Billion dollars a debt as large as the debt of England. The State of Missouri whare the Saints have received there persecutions is now the great Battlefield of the west. It is now man against man & neighbor against Neighbor. They who have spoiled the Saints are now being spoiled. Independance, & Jackson County Missouri. is nearly destroyed. It is the Case with many parts of the State. The Lord has taken peace from the Earth and all Nations are Still preparing for war. [p.616] The Lord has pointed out the fate of this Nation in the Book of Mormon and Doctrins & Covenants. He has said that when they became ripened in iniquity they should be Cut off. THAT DAY HAS COME. There Cup of iniquity is full. The whole Nation Rulers and people are filled with Corruption befor God And the president & Senate of the United States are sending men to Utah to rule over this people as a Govornor & Judges who are so Corrupt that they are a Hiss & bye word and a stink in the Norstrills of all people in the Streets. John W. Dawson was sent By President Lincoln to Utah as there Governor. He arived in Great Salt Lake City on the 7 of Dec Delivered his message on the 10 to the Utah Legislature and immediately Commenced a scene of Debauchery and insulted women untill the widow of Thomas Williams drove him out of her house with a fire Shovel because of his vulgar abuse to her, and He has left this City for the East this day in the mail Stage a disgraced debauched Libertine. He left because He Could not hold up his head in the Streets and look the people in the face because of his Crimes. These are the kind of Rulers the Gentiles send to rule over Israel and Israel Begins to Feel that it is time to rise up and appoint her own Governors, Judges & Rulers & trust in God for the Result. The American Nation as a United States Government is doomed To destruction and No power Can save it. They have forfeited all right and title to Redemption or Salvation at the Hand of the Lord or his Saints. It is decreed that the measure which they have meeted out unto the Saints shall be meeted unto them and they are hastening unto there work of desolation, war, Bloodshed, & destruction and wo, wo, is ther doom. There is no answer to Mormon “Apostles” who are “prophets, seers & revelators” who prophesy and call themselves “prophetic historians” being so wrong. You can’t say you are a prophet and be this wrong. The Book of Mormon is false. These men proved it so. It’s prophecies failed. it’s a blessing to have you back . Here’s a short video (6:32) that I think you former Mormons will relate to. It’s all about the Mormon mindset and how it’s developed in (Mormons) from the time they’re little kids. No wonder many have such difficulty processing information regarding the history of the LDS church, Mormon doctrine and Biblical Christianity. In-my-view, for Mormons it’s all about the LDS church and the system that is to morph them into gods with their own planets. That’s why guys like FOF just can’t see the forest and why “leaving the church” is such a big deal. It’s this love of the institution of which the LDS prophets and apostles are apart of that is the ball and chain for a lot of Mormons. In-the-past we’ve had Mormons who show-up here who’s primary concern is what “denomination” we Christian posters belong to. They can’t get by the idea that it’s irrelevant to us, what particular “church” each of us belongs to. It’s further mind-blowing to them that someone like myself doesn’t “belong” to any “church”. I’ve tried to explain what the Mystical Body of Christ is and they seem to think that’s a denomination. Believing in Christ isn’t enough for Mormons. The reason is that it’s the “system” that their own Heavenly Father supposedly progressed through just like his heavenly father, grandfather, great grandfather, great great……………you get the picture. Rest in Christ. He’s your only hope. Going to Mormon temples and repeating rituals lifted from the Free Masons isn’t going to get the job done. I am looking forward to reading it, I have a very busy month coming up so I’m not sure when I will get to it, but would be happy to discuss it with you. I am in the same situation. I live in a small town where almost everyone is LDS. We do have some FLDS who quietly live in our community but they are affiliated with a group in Salt Lake. I have been out officially since January of 2011 and have been posting here for about that long. I have learned so much on this blog, not only from the Christians who post here but also the Mormons. It’s good to see another one make it out of this false religious system and into the light of the true and living Christ. Indoctrination begins at birth for those of us born into Mormonism. Shawn said in the video that Bob thinks he’s chosen or made a choice to believe but in reality he hasn’t chosen anything. That really hit home. It’s so true, I thought I had chosen Mormonism but looking back, I hadn’t experienced anything else. Being warned for many years by the LDS church not to look at anything not church approved really kept me in line. The LDS church uses fear, guilt and shame to control it’s members, yet they make you believe it’s your fault if you feel any of those things. There’s something wrong with you, the church is perfect, the people are not. Now it just turns my stomach when I hear Mormons say this. For me, it wasn’t that I hadn’t experienced anything else it was more that I hadn’t understood anything else. I only saw the world through my Mormon goggles. I was taught what other churches teach by Mormons. And so while I thought I was understanding, my knowledge was completely skewed. I too thought I had chosen Mormonism. You have made some pretty interesting statements in this post and I would like to think you do not speak out of expediency. You said, “you are very unlikely to be familiar with the best LDS scholarship on the Book of Mormon” and you said earlier, “The scholarship available from LDS researchers is light-years ahead of that from the critics.” Now you said, “I fully believe in took place in Mesoamerica.” Show me just one artifact or one piece of ancient writing that is either Jaredite or Lehite. I didn’t bother with understanding any other religion because it was all false anyway, or so I was taught. I never thought to read the writings of the early church Fathers because I didn’t know they existed until I came to MC. I think it was comments from falcon that got me hooked on reading their writings. It never occurred to me to even research Christianity, I was convinced from an early age that there was a great apostasy and the only true church was the LDS. I didn’t even know there were more denominations of Mormonism other than the FLDS and the RLDS and I knew next to nothing about those groups. Yes, I lived in a giant Mormon bubble. I admit it. I have been looking into lots of different religions including Buddhism, Hinduism, Muslim, I even looked into Scientology, not because I’m thinking about converting, but to understand what people of different faiths believe and why. I find it interesting. Falcon thanks for the video link. It hit the nail on the head. That is exactly how I was raised and how I raised my children. Looking at Mormonism from a different perspective sometimes I feel that when you are trying to talk/share with them they just put their hands over their ears and do the “la la la la la la I can’t hear you” move. I would love to read the writings of the early church fathers. What do you recommend I start with? Here’s a good website to get you started. I have been busy and since it has taken some time to reply, I bet you were thinking, Rick just believed what I said, thats why he has not replied. Sorry to say, I’m not buying what you said. First off, Grindeal provide a good answer as to why your view is false. Now my added reasons are these. When we read the Bible we find a few things through out the entire Bible. 1. God planned all along to save us Gentiles. So the BoM telling me this is really nothing new and does not help me to understand the Bible or God better. 2. Jesus and the apostles quote all the way back to the garden, and the tower of babel and all places in between. Yet they never quote or mention BoM prophets. Even secular Jewish rabbies never quote BoM or it’s people either. So thats not good, it tells me they are fictional. Now many LDS have told me that the reason for this is, the BoM is really not that old. It is not that old in written form of the BoM, but it’s stories go back to the tower of babel since it mentions it. So then the LDS claim after I point that out, they did not know each other or live among each other. I then reply with, How can BoM prophets quote Bible prophets but not the other way around? And if they did not live together at some point, then why does the BoM mention some BoM prophets lived in Jerusalem around 600 bc? Hows that possible and they never meet? Then as I said, the verses you provided about Gentiles in the Americas, How does that effect my salvation? How does that teach me more and explain God and Jesus better than the Bible? How does that help me better have the love of Christ in my heart? It simply does not. Care to try again? Your comment or question about why Biblical prophets don’t quote Book of Mormon prophets is pretty clear. The Book of Mormon prophets were part of a people who came from Jerusalem and had in common with all subsequent people in Jerusalem a set of previous prophets and history- the history recorded in the Old Testament up to 600 B.C.. The people who did not come to the Americas with the Lehites did not have the subsequent Lehite prophets in common. They didn’t know about the folks in the Americas. So they wouldn’t have access to those prophets or record. Yet the prophets here brought the brass plates with them which contain the record from Adam to the time they left Jerusalem. The prophet which Jesus and His apostles quoted most often was the prophet Isaiah. Isaiah gave very important prophecies regarding the scattering and gathering of Israel. And the events surrounding that scattering and gathering are very well explained in the Book of Mormon. A person does not understand Isaiah who does not understand the Book of Mormon. Without the information provided by the Book of Mormon on Isaiah, a person is left with a shallow understanding of why God placed so much emphasis on Israel, especially Israel’s importance in the last days prior to Christ’s second coming. The doctrine seems quite shallow without the perspective provided by the Book of Mormon. But that is just one topic which the Book of Mormon addresses so well. The apathetic dismissal of the Book of Mormon with the justification you provide is strikingly similar to that prophesied in the Book of Mormon text. In essence, it is explained that if a person or people rejects the words of Christ with little care, the words of Christ which they already have will be taken from them. Those who accept the words of Christ will be given more. Hearing Christ’s voice is not a one time thing. He very much intended it to be that way.